Talking from experience as a bride on my wedding day, it is the most I have ever smiled in one day; both for the camera and those nearest and dearest. Not to mention the number of intimate kisses you share with your husband or wife on the day. We put a lot of pressure on ourselves as a bride to feel and look our best; after all it’s the one day we get treated like a princess. So, don’t under estimate your smile and its role in how important it is to make you feel confident. 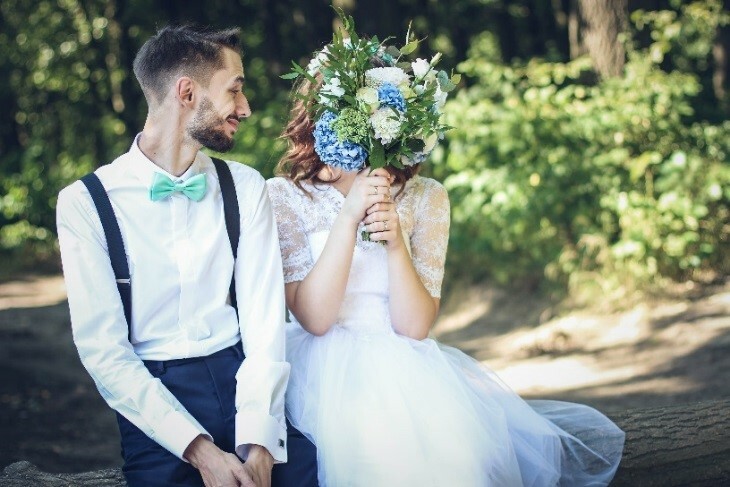 If our teeth and gums are cared for, our smile will show this, and that is one less worry from that dreaded tick list that never seems to get any shorter as your wedding day approaches. 1. CONFIDENCE in having fresh breath all day long. An unfortunate symptom of gum disease is bad breath, and this can give us a real complex, especially on such an intimate day. At Pure Periodontics we can provide you with the latest evidence based advice on how to care for your teeth and gums, teamed with the correct treatment for you, and eliminate this unwanted symptom. 2. HEALTHY looking gums and teeth. You don’t want to be self-conscious to smile on the day knowing your gums aren’t healthy, or look back on your wedding photos and focus on red puffy gums. Gum disease can be treated, however left untreated, the condition will worsen. Pure Periodontics are here to help YOU and we’re ready and eager to go. 3. BRIGHT teeth for a radiant smile. We can professionally and effectively remove stain, plaque, and calculus. We use the latest ground-breaking technology and modern methodologies to provide our patients with the best oral health care.Air-Flow® is a pain free, non-invasive treatment recognised as one of the most efficient methods of disrupting plaque biofilm and removing stubborn stain. 4. FUNCTION of your teeth is vital. When eating your Wedding Breakfast, you want to be able to enjoy it and not worry about sore gums, or loose teeth causing you discomfort. If your big day is looming and you are aware of bleeding / sore / inflamed gums, loose teeth, recession or you just want a brighter and healthier smile, contact Pure Periodontics today for us to guide you through a tailored treatment plan with our caring, qualified team. We Have Won Not Just One But TWO Awards! Womens Fertility And The Link To Gum Heath: Does Gum Disease Affect Your Chances Of Getting pregnant?